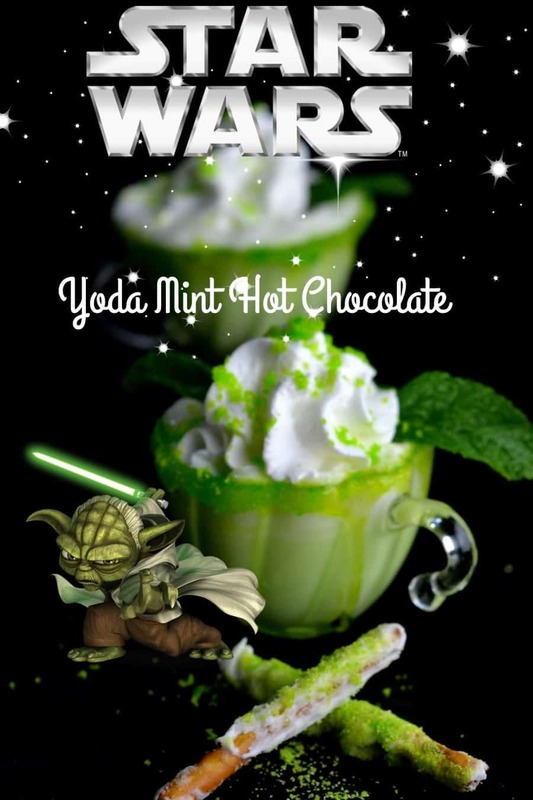 With the new Starwars coming out I thought a great drink would be a Yoda Mint Hot chocolate. In a sauce pan place milk or half n half on a low heat. Add in white chocolate chips and peppermint extract. Stir until chocolate is melted. let simmer about 10 minutes.Do not let it come to a boil. Add in 2-3 green food coloring drops. This drink looks so delicious. I am going to try and make this. Hope I do a good job. 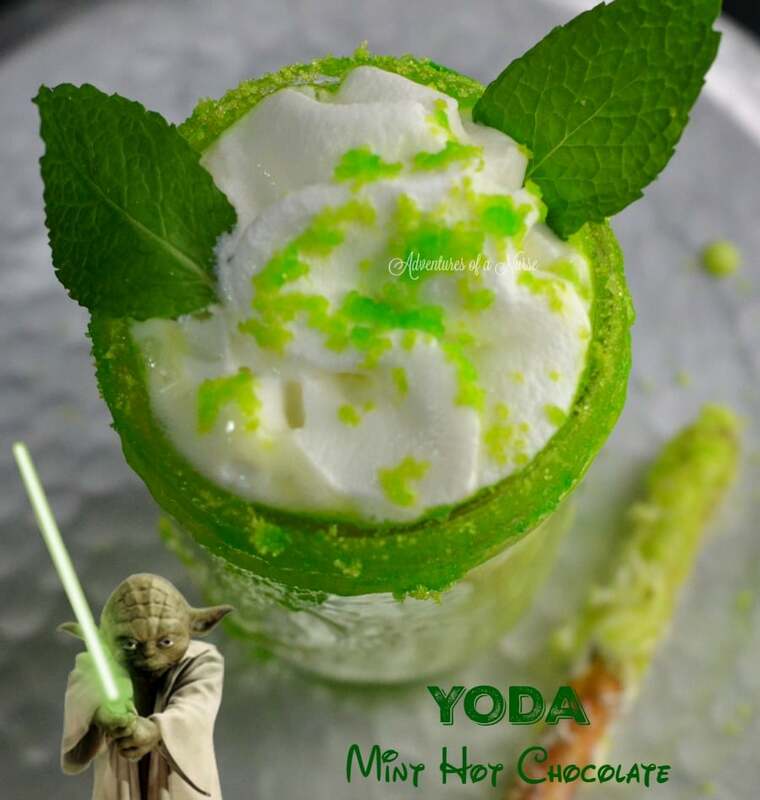 Yummmmm – looks so good!